The Dinosaur Department Store is a beautifully illustrated tale of Eliza Jane who, on her birthday, has her heart set on owning a prehistoric pet. When her family get to the store and meet the flamboyant Mr Magisaurus, it transpires that Eliza Jane has hatched a mischievous plan to release all of the dinosaurs into the wild! Written by Lily Murray and illustrated by Richard Merritt, this vivid, roaring and witty tale will appeal to adventurous children everywhere. 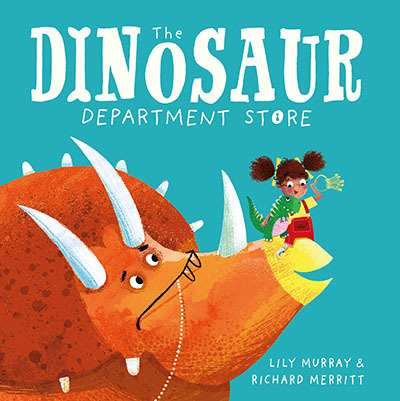 Come and meet Lily Murray and Richard Merritt as they lead a fun dinosaur-filled, interactive storytime session inspired by this brilliant book! Price: Free event but please register by clicking below.